Stan Better Architects is a part of the Stan Better Family of Companies which also includes Stan Better Construction. As a Design Build firm our approach to the design build process is unique. Many times I have been asked “What does an Architectural Feasibility Study include and not include?” My hope is that this article will answer these questions. When someone initially calls me about some remodeling they want to do to their house I first determine the scope of work the person is asking me to do. If the project is comprehensive enough that it would require the services of a design professional like myself, then I schedule a meeting at no cost or obligation to go out and meet with the Owners and see the actual existing conditions. At this initial meeting I discuss the wants and needs of the Owners; observe the existing conditions affecting those wants and needs such as zoning issues, structural issues, budget constraints etc..; and determine if this project is a candidate for an Architectural Feasibility Study. 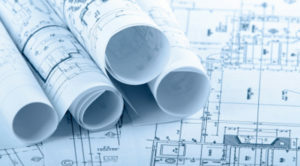 The difference between offering an Architectural Feasibility Study versus a full service Architectural contract is that full service contracts require much more comprehensive Architectural details and specifications that are not necessary for those Owners just wanting to find out if their project can be achieved within their budget and programmatic requirements. A full service contract commits the Owners to full Architectural services from feasibility design, to construction drawings for permit, and through field visit inspections during construction. If no one is sure what is going to be built, then why would an Owner commit to a full service Architectural contract from the beginning? By just committing to an Architectural Feasibility study, the Owners can invest much less dollars and once a final feasibility design is established, then if they so choose, commit to a more comprehensive contract. By this time the Architect will have a much clearer scope of program, construction costs, and be able to determine a more finite fee to prepare construction documents for permit. So what is the process of an Architectural Feasibility Study? Step #1…As I indicated earlier, I initially come to the home at no cost to evaluate if this project is a candidate for an Architectural Feasibility study. Step#2…Once the homeowner is in agreement with this process they sign an Architectural Feasibility Agreement. Step#3…We arrange for a time to come measure the targeted areas of the house. In most cases this is the entire floor plan(s) and elevation(s). We put these measurements on graph paper to take back to the office. Along with measuring we take digital photos of exterior and interior of the house. Step#4…We convert the information we obtained at the house into computer digital drawings using special Architectural software. At this point we now have what is referred to in the trade as an As-Built set of drawings (See As-Built floor plan example). Step #5…We then analyze the data to determine code compatability. For instance if the Owners want to add an addition on the side of the house and the zoning regulations do not permit this, then we need to reevaluate and discuss alternatives or apply for variances. Another example would be if the Owners want to finish off an attic space with a low ceiling. The building code requires a greater ceiling height for an inhabitable room. One more example would be a basement renovation where the owners want to turn a room into a bedroom. The existing window in the proposed sleeping room is too small by building code standards to become an emergency exit window and therefore the room can’t be used for a bedroom without making the window larger. Step#6…Once all the previous steps are completed we can then start to “Design” the project. What generally happens in this step is that we will come up with, let us say, 3 Feasibility design solutions (Scheme A,B, and C). When we then present these alternatives to the Owners and their comments generally go like this: “ I like plan A, I don’t like plan B, but plan C you did some interesting things I like. Can we combine aspects of Plan A and Plan C? The answer is that THERE IS NO LIMIT TO THE AMOUNT OF FEASIBILITY PLANS WE WILL DO IN ORDER TO ULTIMATELY ACHIEVE A FINAL FEASIBILITY PLAN. Some people say plan A is the one; some say I like a little of everything so let’s take it to a next generation, and some say now that they see the design on paper, it is not what they envisioned and they need to take a perspective for the whole project. Almost all of my clients fall into the “we like different aspects of different plans so now we need to choose which plan works best for us”. Step#7…Once a final Architectural Feasibility Plan is achieved then the Design Build aspect of my company comes into play. I then schedule a meeting at the residence with all the subcontractors that will have impact on the plan. This is a very crucial step because here is where I rely on the subcontractor professionals to become team members. See example of final feasibility floor plan here. It is important to note that the final Feasibility Plans given to the subcontractors contains enough information to show them what it is we want to build, but it does not show how it is to be built. For instance in a bathroom, there will be shown a sink, commode, and tub, but the plans will not show engineering specifications such as under the sink is an 1 ½ “ PVC pipe with a trap and a diagram showing how it ultimately gets to the waste system of the house. Another example would be the feasibility plans can show where a switch would go to turn on a light, but it will not show that a 14W2 wire needs to be installed in a particular path to the 15AMP circuit breaker in the panel. The subcontractors will include this engineering in their proposal to Stan Better Construction. These proposals will then be reflected in the Stan Better Construction contract proposal. Let’s say we are doing an addition to the house. At this meeting the HVAC subcontractor says that the existing furnace is not adequate to carry the additional heating and cooling loads created by the extra volume of the addition. The HVAC determines that an upgraded furnace will be required along with duct modifications. The electrical subcontractor needs to know this information so that he can provide additional power and circuitry to the HVAC unit in order to make this happen. What if the electric supply and panel box can’t accommodate this additional load? Then the Electrical contractor needs to upgrade service and the panel box. There are many instances like the ones mentioned that occur at this meeting. Also it is important to note that at this meeting the Owners get to express their ideas about lighting, plumbing, HVAC, flooring, etc.. to the different subcontractors. In this way, the subs, when they give their proposals can include the special wishes of the Owners. Step#8…Once I receive all the information from the meeting with the subs, I meet with my construction supervisors and together we analyze all the data to create a Stan Better Construction proposal for the project. This proposal has a finite amount for the contract and a commitment from Stan Better Construction to do the project for the exact amount of the contract. AS A DESIGN BUILDER, STAN BETTER CONSTRUCTION INCLUDES FINAL ARCHITECTURAL DRAWINGS IN THE FINAL CONSTRUCTION CONTRACT. Therefore all the client pays for in Architectural fees is the upfront feasibility study only! Option 1: Sign the construction contract and pay whatever fees are left in the Architectural feasibility study. This is how most Architectural Feasibility studies end up. Option 2: Pay the remainder of the feasibility study and authorize me for an additional fee to continue the Architectural Contract through construction drawings for permit. Option 3: Stop the process and pay the balance for the Architectural feasibility plan. In summary… this process I have developed over my 30+ years of working in the home remodeling marketplace. A large majority of these clients enjoy this process because it allows them to acquire the necessary information to make an intelligent decision as to their remodeling project. It gives them the peace of mind knowing that they thoroughly thought through all alternatives and in the end chose the best design for their specific needs. It is a process that has a no surprise ending. While only expending feasibility dollars, the Owners are able to have a committed final construction contract amount. In the end, my feeling is who better to build it than the person that designed it. My clients feel the same way after going through this process. 1. In many cases the Architect works at a large firm and is unfamiliar with the remodeling marketplace. I had a client once that hired an Architect to design an addition to a house. The Architect designed a 13 foot wide addition. When the owner had it priced by a contractor, the prices were about 30% higher than expected. The reason was later explained to the Owners by one contractor who said that the reason that their project was significantly higher in cost was due to the fact that the Architect did not understand that in the remodeling construction world lumber comes in 2 foot increments; plywood comes in 4X8 sheets; a 13 foot wide flooring system is 25% higher than a 12 wide flooring system; carpet comes in 12 foot bolts. He cited many other examples why this was a poor design from a cost standpoint. 2. The Architect was unfamiliar with building costs. Architects will listen to the Owner’s wish list and design around these requirements. The unsuspecting Owner doesn’t realize that the Architect has no concept of building costs other than a book that talks about so many dollars per square foot. This book is useless in remodeling because it is based on large volumes of square footages. So the Owners find out in the end that their 50,000 budget has translated into a 150,000 design. Now what do you do? 3. Think about this…You are a contractor asked to bid this Architect’s set of plans. No matter how good the Architect is in detailing, no one can create a set of drawings that answers every question and describes every construction method to complete the project. The contractor knows this. So what does the contractor do to get the job? They provide a low bid for the project and then try to make up their shortfall by asking for change orders throughout the job. I once heard about a remodeling project that an Architect drew and a contractor low balled. The contractor started the job and happened to pour the concrete in the middle of winter. The foundation froze and had to be torn out. The contractor’s position was that nowhere in the plans did it state not to pour concrete in cold weather. The contractor sued the Owner for damages to repour the foundation and won. Another case that come to mind is an Architect designed a structural system for the addition that was based on the assumption that the existing house had structural elements going a certain way. When the contractor tore it out he found the existing structure went another way. He created a change order to the Owner. The Owner turned to the Architect to redesign the structural system. The Architect complied. After about a month of the job being stopped, the appropriate engineering change was accepted by the building department. Both the Architect and the Contractor presented bills to the Owner. The Owner was forced to pay the contractor, but refused to pay the Architect. In all cases if the design build approach was used, then the Architect and Contractor was the same and the issues would be resolved quicker and more favorable to the Owner. THE OWNER HIRES A CONTRACTOR WHO IN TURN HIRES AN INDEPENDENT ARCHITECT. This scenario has danger written all over it! You would be surprised to find that this is quite common in the remodeling marketplace. The obvious flaw in this way is that the Architect, who is supposed to represent the Owner, is actually being dictated to by the Contractor who is paying his fee. In this process the contractor approaches an Owner and says that they will bring on an Architect to design the remodeling project. The problem is that the contractor only wants to pay the Architect for a singular design that he knows he can build economically. The Owners are never given the opportunity to explore other alternatives that may end up to be much better solutions to their problem. I personally feel that this practice violates the ethics of the Architect to represent the true Owner of the project, because in many cases they are not even allowed to talk to the Owner, but rather only through the contractor. If I was an Owner and I was going to spend a significant amount of money on my home, wouldn’t you think I would want to explore all alternatives with a professional looking after my interests and not the interests of the person paying him or her. THE OWNER (OR CONTRACTOR) HIRES A “DESIGNER” FOR THE REMODELING PROJECT. I am sure you are aware of the saying “You get what you pay for”. Most “designers” are not familiar with codes and construction practices to be of any real value to an Owner other than coming up with a pretty design that can’t be built or cost so much that it is not feasible to construct. I would also put in this category Owners that create their own designs. Again I would remind you that people not involved in the day to day understanding of what it takes to design and build a remodeling project are headed for disaster.